Craig and Dianne LeMieux are Tropical Smoothie Café area developers in Michigan, Ohio, and Colorado. The entrepreneurs currently have 58 locations open throughout their markets, with an additional 39 cafes in development. They are now focused on bringing more units to the Colorado market, where the brand has just three locations. The LeMieuxs purchased area developer rights to Colorado back in April 2016, along with two existing locations in Centennial. They plan to open units in Denver, Colorado Springs, and Centennial. "Dianne and I have been with Tropical Smoothie Cafe for more than a decade, and it's our belief in the brand that drives us to continually expand our business," said Craig LeMieux. "We have not only seen tremendous success with the cafes we own and agreements we facilitate in Colorado, Michigan, and Ohio, but also company-wide as the brand continues to report consecutive years of positive comp sales. 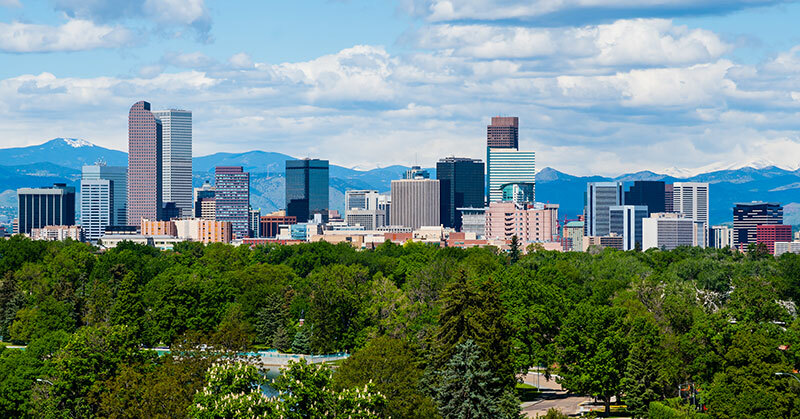 There's a demand for the better-for-you options Tropical Smoothie provides for its customers, and we're eager to drive development forward, specifically in Colorado where there's a wealth of thriving communities chock-full with opportunity and potential we can tap into." Even though Colorado is a priority development market for the LeMieuxs right now, they are also working toward expanding Tropical Smoothie's presence in Michigan and Ohio, in places like Battle Creek and Holland, Michigan, as well as the southwest and northern regions, and Cleveland, Akron, and the northeast region of Ohio. The Tropical Smoothie Café brand plans to open 100 restaurants nationwide in 2017. By 2020, the brand plans to have 1,000 stores open across the U.S.